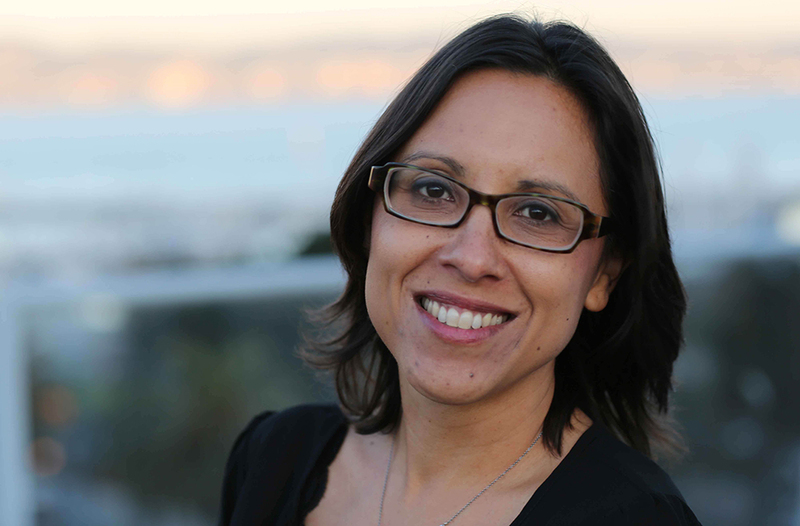 Carrie Lozano recently joined IDA as Director of the Enterprise Documentary Fund, an ambitious new project that supports mid-career filmmakers telling contemporary stories with a journalistic foundation. Earlier this month, Carrie introduced the Fund to our readers, but we wanted to take an opportunity to introduce Carrie herself. A veteran of the documentary film world, Carrie produced the Academy Award-nominated The Weather Underground and directed The Ballad of Fred Hersch. She was recently a senior producer on Al Jazeera America’s Peabody Award-winning Fault Lines series, and is a graduate of the documentary program of UC Berkeley’s Graduate School of Journalism. Based in Berkeley, she spoke to Documentary by phone this month. What was your career path before attending graduate school for documentary? I did film studies at UC Berkeley as an undergraduate; I always, from a very young age, wanted to work in film. I think when I was young I wanted to do narrative film, as most people do. Then when I got to Berkeley, Kathy Geritz, who runs the Pacific Film Archive, taught "The History of Documentary" class. It was a core class, and it just totally changed my life. I made my first film in her class and from that point on, everything that I did, which was largely experimental early on, was in the documentary form. I also had a separate trajectory, though; as we know, it's hard to break in and have a sustainable career. So I initially, through a fluke, did healthcare policy as my first career - which is a lot like investigative journalism, actually. After a couple years, though, I felt like, "Oh, I really wanna make films. That's really what I want to do." That itch did not go away. So I decided that I would work for basically all the film festivals in the Bay Area as a copy editor, and for a financing conference that used to exist. And it was through that financing conference that I met Sam Green and ended up producing Weather Underground. The first feature you produced turned out to be a pretty big deal, and was nominated for a Best Documentary Feature Oscar. You went back to school after producing a successful doc? Yeah. I was absolutely flying by the seat of my pants. I had a lot of skills, research skills, and on a certain level I understood the work. But we didn't anticipate that the film would be as successful as it was. We were making the film before 9/11, and then the film premiered in 2003 - post-9/11, and as we were ramping up to the war in Iraq. In the time we were making the film, the world changed, really. We were complete newbies, and as it premiered - I think that was January 2003 - I submitted my application to the graduate school, not really knowing how big the film was gonna be. I was in graduate school when we went to the Oscars. It was unusual to be a student and already have a feature film out in the world at the same time as I was going through the program. But I felt, I applied to this school because I really felt like producing is its own particular art form, but what I really wanted to get out of the program was some technical skills. I wanted to really hone my storytelling. I wanted to hone my research and my journalism skills. Some of that obviously overlaps with producing, but I really felt like I wanted a journalistic foundation for my work. What excites you about your new role on the UC Berkeley School of Journalism Advisory Board, and what do you think it’ll do for IDA and the Enterprise Doc Fund? In some ways I don't totally know what it will entail. But suddenly I think the entire country's aware that this is a really critical time for journalism and to support journalism. I don't really care what side of the aisle people are on. I believe that people want good information and that they go where they feel they're finding it for themselves and then where it's reflecting their own lives. I have long felt that the graduate schools and the journalism schools are not diverse enough, that newsrooms are not diverse enough. We know that documentary film is not diverse enough. And I think in part that's why we missed the story this year and why we were all so surprised at what happened in the election, which really shouldn't have been that surprising. So I'm excited to kind of be able to be in a position to really contribute to that discussion and try to move that forward and have an open and honest dialogue about what our newsrooms look like and what the consequences are. How did you come to make The Ballad of Fred Hersch? There are a couple things that drew me to this story. We randomly met Fred Hersch. My husband met him on the plane, and Fred has an amazing story because he was the first openly gay, openly HIV-positive jazz musician in the US. He also survived a two-month coma in 2008. He just has this fascinating story and an activist background and he's really groundbreaking in his field. Any storyteller would jump on it, and in fact there had been a profile of him in The New York Times Magazine soon before we met him. So I was drawn to that. This is also my third film about AIDS, and it's a subject that is really important to me and always has been. It also felt like a trajectory or continuation of a lot of the work that I've done. But like most things that happen, it was almost completely random that we made that film. And it is very much outside the box of what I had done in the past. Tell me about your work as a senior producer for Fault Lines on Al-Jazeera America. The benefit we had, once the Al Jazeera America cable channel was launched, was that we had a lot of resources and in the beginning had a very big team. I think it was 25 staff people, which is unheard of. Lots of producers. Several correspondents and very healthy budgets to literally go anywhere in the world and do a weekly half-hour documentary series. 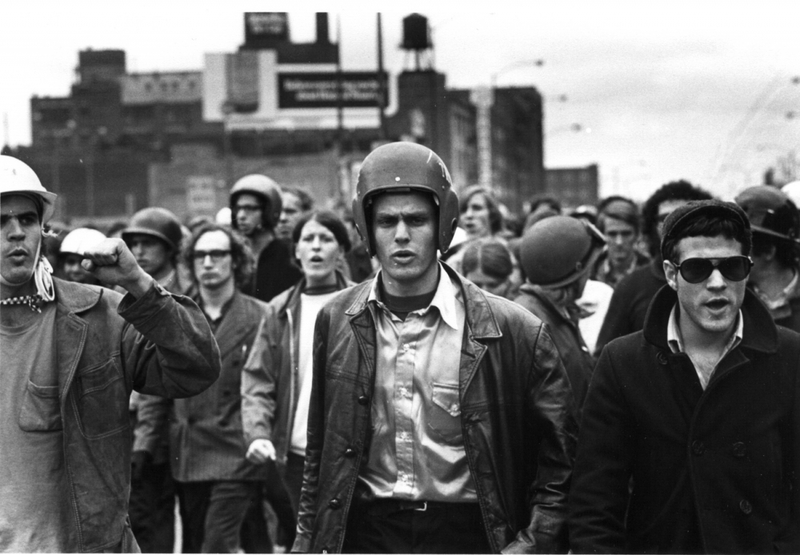 The pressures were very different than on The Weather Underground. Yeah. In the first year of Al Jazeera America, I think we produced 40 episodes, which is an unbelievable amount for any series. And you had producers out in the field in conflict zones all over the world. It was a 24/7 job. I can remember our team in Ferguson on the ground in the second wave of protests after there was no officer indictment. And it's Thanksgiving and I'm with my family and I was up all night because the producers have to call in every hour so you know that they're safe. It was a very high-pressure, high-stakes role just because we were producing so much and had so many stories at any one moment. What I loved about this show and about our executive producer was that the storytelling, the cinematic qualities, the scenes - those were all as important as the journalism, so it felt like, while sometimes we missed the mark, we were always striving to have a really engaging current affairs show, which isn't that easy to do. What are some of the docs and doc makers that have inspired you? Oh my goodness. That's a tough one. I idolized Lourdes Portillo. She doesn't know that. I've only met her a couple times but she's... Jon Else has had a huge influence on me and has been an incredible and consistent mentor. Debbie Hoffman as well. I think many of us look at Debbie and her work, like The Times of Harvey Milk, and feel strongly that that really made us want to be filmmakers. Those are the three who touched my life directly. And then in terms of our contemporaries, Laura Poitras, Brian Knappenberger, Bernardo Ruiz - all those folks who are taking on some pretty serious topics are very inspiring. But I am inspired by the field at large, to be honest, and I've been involved in the IDA Awards as a judge the last couple of years, which has been such a pleasure because I get to see everything! Akiva Gottlieb is Communications Manager of IDA and Associate Editor of Documentary magazine.